Join me, Claire Alina on a fabulous walking tour of Bucharest city centre, taking in the sights and sounds of Romania's beautiful and historic capital. 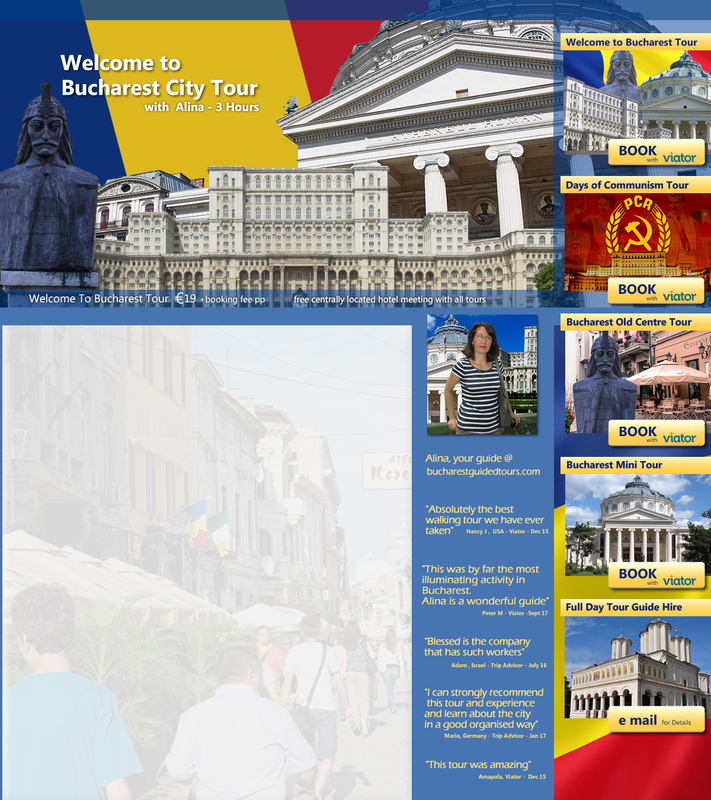 and how today Bucharest has became a colourful, friendly and vibrant city. Let me take you on a journey, visiting Bucharest's finest points of interest, discovering ancient churches, beautiful architecture and memories of our revolution in 1989. Constitution Square Unirii and the House of Parliament. Boulevard Unirii and Unirii Fountains. Statue of Carol the First and The Memorial of Rebirth.